Are you ready? Do you have your supplies? The lemon juice, small paint brush, piece of paper, an iron? Remember that we will want a responsible adult nearby to help out with the iron when it is hot. Let's begin, shall we? 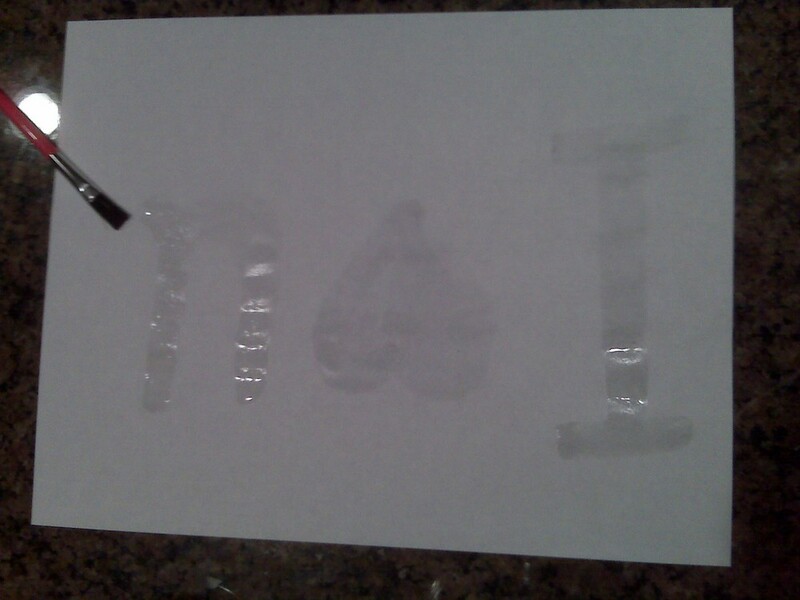 All you have to do is paint your message with the lemon juice right on the paper. That's it! I wrote my secret message for my silly husband, John. Can you see the wet letters of the message I wrote to him? After you paint your lemon juice words, you have to wait a while for the letters to dry. When they dry, your words disappear into the paper. How fun is that? Now comes the really amazing part. Have your grown up heat up the iron really hot. Smooth the iron over your message. Wow! Will you look at that? Your message magically appears! Can you see how surprised John was when he read his message? Have fun with this. Draw pirate maps with an X to mark the spot where the treasure is buried. Write out messages in secret code. Or simply tell someone how much you love them. Just be sure to keep this simple recipe a simple secret. Shhh. Calling all detectives and special agents! Secret messages, here we come. 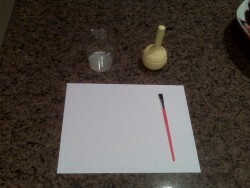 Gather the following materials and I will show you how to write notes in invisible ink. Keep the recipe concealed. We don't want it to get in the wrong hands, now do we? That's it! See you on Simple Saturday!